As a salesperson, you’re probably aware that there are numerous sales prospecting tools out there. Each of them comes packed with a suite of different options. Picking one is never an easy task. The trick, of course, lies in finding the perfect tool that represents your essence. Luckily, we’ve invested plenty of time and resources evaluating the different sales prospecting tools out there. Before we get started talking about the best sales prospecting tools, a little background is important. Sales prospecting refers to the process of looking for potential buyers in a bid to nurture business relationships. Ultimately, the end goal is to have these prospects move further along the sales funnel until a sale is completed. While technology has given the sales world a significant bump through the years, it’s still a murky industry. Why? Well, clients are nowadays so well versed with information access that the traditional pitch just doesn’t cut it. To get people listening, you need to pull at their heartstrings with more than just rhetoric. To get a gist of what we mean, you need to think along the lines of a gold miner. Yep! That’s right. A gold miner. If you’re conversant with the mining process, there’s lots of sifting that happens before those yellow specks of gold are found. Using the gold mining analogy, you’re probably going to encounter difficulty with every prospecting excursion. With a couple of sales prospecting tools as your arsenal, there’s no telling what milestones you’ll be able to surpass. Sales prospecting tools are revered because they slice up the workload. Automation allows you to further recline your seat fully confident about the computations to come. With less time spent manually analyzing bits of data, you can take inventory of other aspects of your business. Having said that, it’s high time to get right to listing out the best sales prospecting tools in the market. The #hashtag functionality on Twitter is a thing of beauty. Brands can command the masses to talk about their products through promoted ads and organic reach. Of course, you need to have a good backstory. While a lot of the heavy lifting lies in branding, customer feedback is an equally important facet. 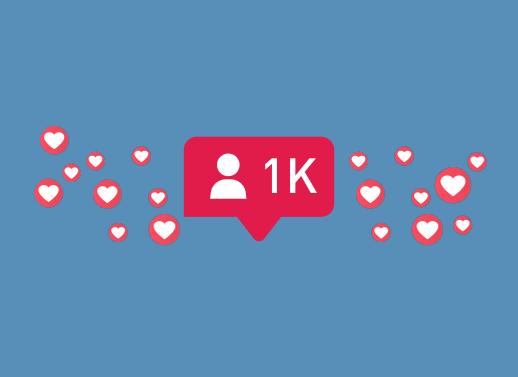 Retweets, favorites, and replies can go a long way in showing clients that you have their best interests at heart. Social media platforms like Twitter are favored by salespeople because of their flexibility. On the platform, you can easily change the tune of your pitch to entice more prospects. To get started, we’d advise you to check out the advanced search feature. The search functionality will allow you to gain insights into what prospects find exciting about your product and/or service. Going through prospects feeds will give you a feel of clients’ lingo and their school of thought. In essence, you’ll be able to respond to queries raised by incorporating a personal touch. 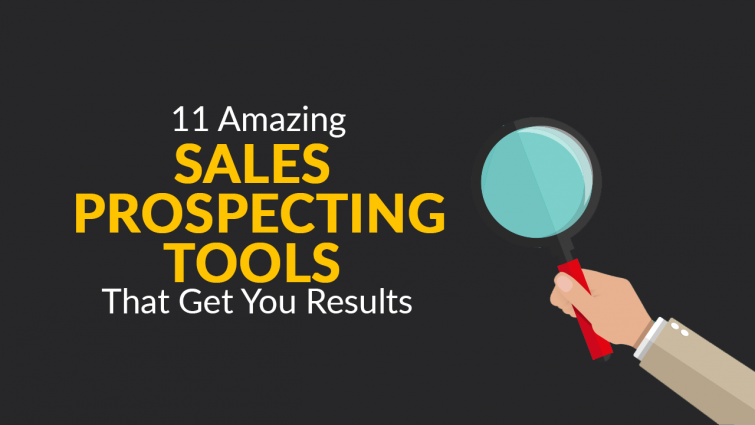 Among sales prospecting tools, this one is quite popular with salespersons. The underlying reason behind this lie in the fact that salespeople are able to access plenty of information at a go. When using this prospecting tool, you simply need to key in a company domain and the magic will start. Your entries will automatically produce a dropdown list showing suggested email contacts. If you’re looking to check out the tool, you can access it as a Google Chrome extension. Impressively, the app gives you estimates on how likely each person will reply to an email. The app is also quite intuitive since it gives you patterns on associated email contacts. This can be quite handy when you’re not able to contact a particular prospect through email. The patterns are important since they’ll provide you with ideas on how to guess your contacts details. This sales prospecting tool is quite robust since it supports compatibility with the Google Sheets add-on. 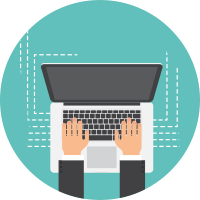 By using the two, you’ll be able to store numerous emails linked to a single domain in a Spreadsheet. 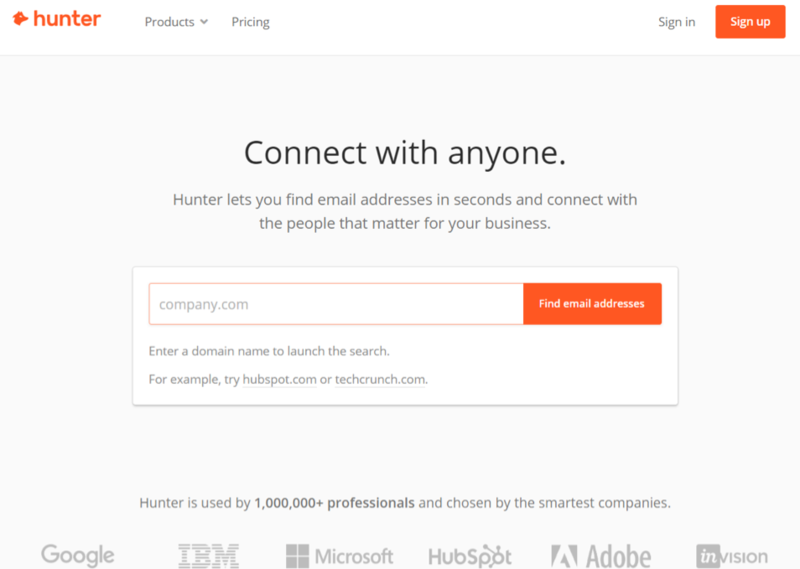 Price: You can freely look up to 100 emails. After that, a premium is imposed at $39 per month. With Voila Norbert, you can easily establish contact with specific prospects. 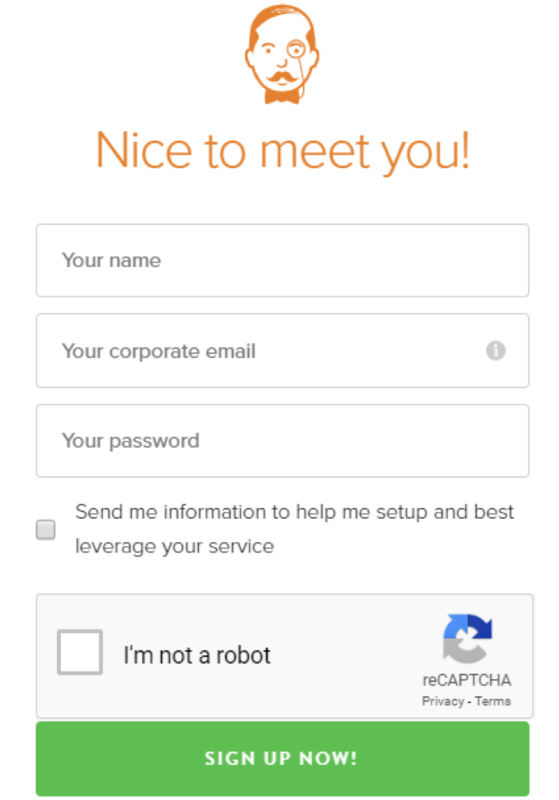 All you need to input is their first and last names, plus their company domain. With that provided, Norbert will start analyzing data and locate your contact after a while. The prospecting tool is quite handy since it has Gmail support. 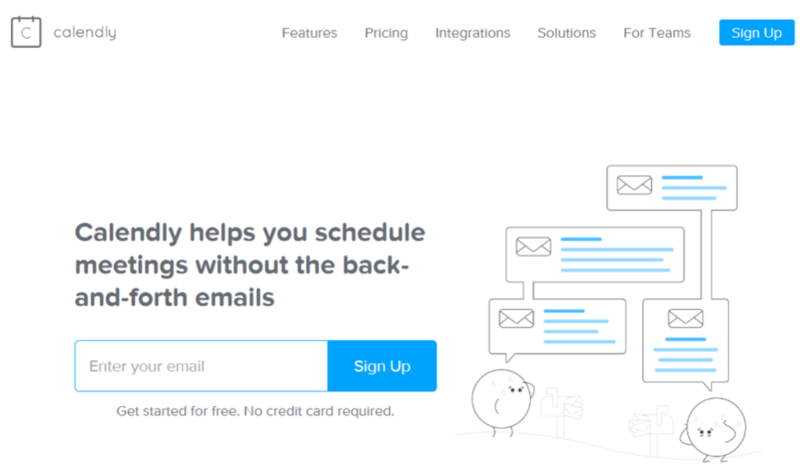 The developers smartly allowed features like scheduled emails, auto response messages, reminders, and notes. Price: Free for the first 50 email searches. The paid plan goes for $49 per month. As a salesperson, you’re always going to be keen about what the competition is doing. 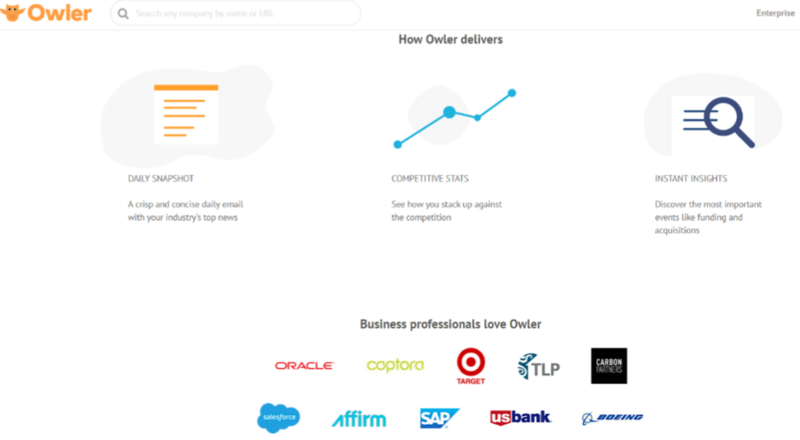 With Owler, you can keep tabs on your competitors by accessing the vast information afforded to you on their database. The fact that the browser tool is available for free is quite alluring. Still, the main feature on offer is the wealth of data right at your fingertips. You can access crucial information like annual revenue, the number of employees, and linked social media accounts. Incredibly, there’s an option to check out the history of acquisitions made by your competitors. With such kind of intel, you can strategically devise ways to tap into your shared markets. You can try out the prospecting tool today and check out some of the benefits it may have on your business. If you’d like to have unlimited access, then, you’ll have to sign up for a comprehensive plan. With Calendly, you have nothing but the very best time management tool at your disposal. You can easily schedule meetings, calls, and demonstrations. How does it work? Well, you simply need to sync up the tool with your Google Calendar and it will do the rest. Since it has all the detail about how your schedule is like from the synchronization, it can tell whenever you’re free. This means that you always find the right time slots to link up with prospects at their convenience. With the sales prospecting tool available as a Gmail plugin, it’s quite easy for you to hold ad-hoc meetings. It will simply share links of all the time’s you’re available within the email. 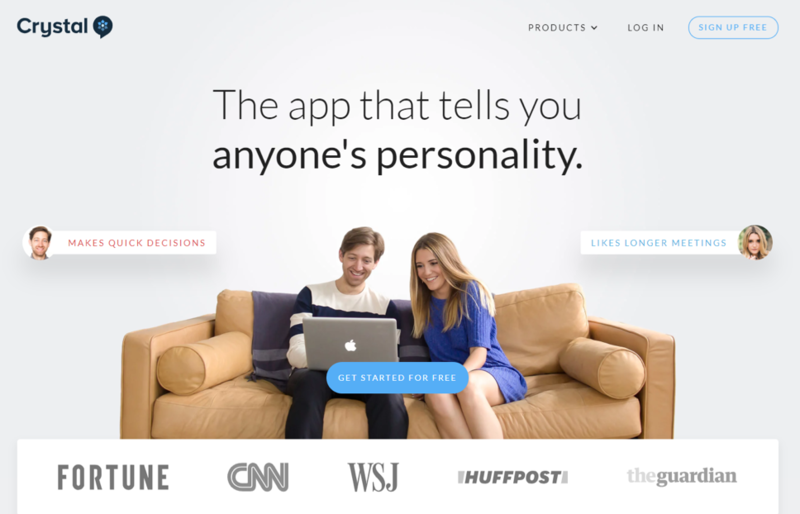 Price: Has a 14-day trial period. Premium plans start at $8 per month. With this tool by your side, you can easily schedule meetups with prospects. Even better is the fact that you can access information about your prospects before that happens. This sales prospecting tool is powerful enough to highlight the key points with every prospect. This is quite important if you’re looking to break the ice with a compliment before proceeding to a fruitful conversation. Detective by Charlie operates by scouring the web whenever prospects mention your company. This means that you have full access about how much they know about you. You have access to the topics they’re following up. You also have access to other brands they’ve looked up and the nature of their business. This information is quite pivotal since it gives you some background on the sale. You can look up your database to learn whether you’ve closed deals in the same location as the prospects. If you have, it’s best to follow up whether there’s a pattern among the prospects you’ve encountered. This will prove to be invaluable if you’re looking to advance yourself as an expert in a particular niche. Price: A free demo is available on their site. At conception, Clara was made to help employers effectively plan job interviews with their employees. Over time, the tool has been adapted by salespeople looking to auto schedule meetings with prospects. To get started with the app, all you have to configure are your preferences. Some of the things you’ll have to define are the hours you’re available and your favorite meeting joints. After that, your job is pretty much done. Clara will take control of the situation henceforth by communicating with prospects on your behalf. Since you’ve already divulged how your calendar looks like, Clara will book appointments for you. 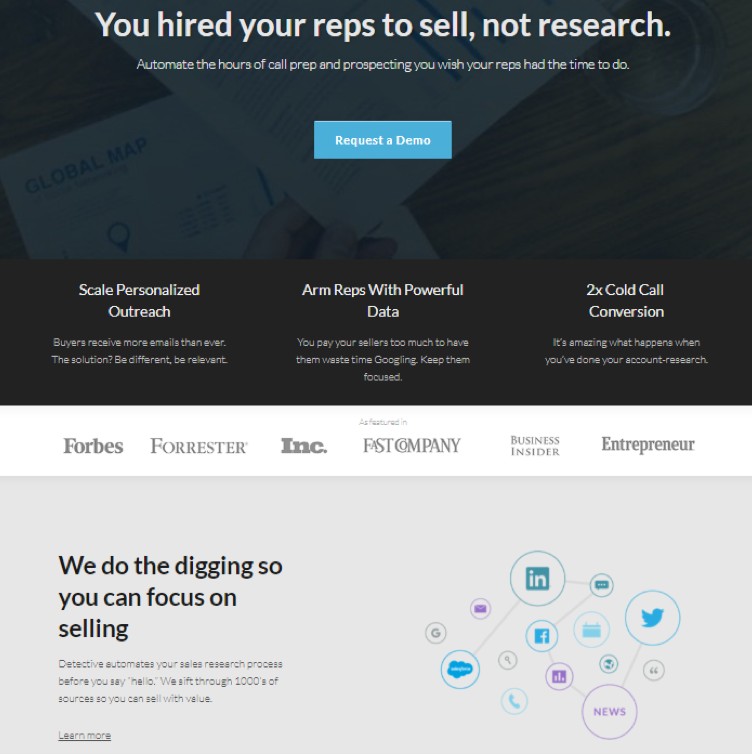 The tool can also be used to setup team-based sales pitches to prospects. Whatever you’re looking to achieve, Clara is right at your service. Pricing: Their website offers a free trial of the product. Sure, you have little to no time to speculate about what a crystal ball says about your odds of landing prospects. However, Crystal Knows presents you with a realistic outlook of how your prospects think and behave. The magical charm of the tool is that you can personalize your messages to suit different characters. Crystal Knows makes good use of its algorithm in analyzing public data. From that, the tool gives you an idea of how prospects like communicating and some other behavioral traits. This gives you sufficient legroom to modify your pitch and enhance your communication style. To get real-time updates on your prospects’ personalities, you should have the Gmail plugin installed. Price: Free for a limited number of views. To gain unlimited access to the tool, you’ll have to part with $29 per month. This productivity tool allows you to streamline your workflow with easy note taking capabilities. This means that you can comfortably sync notes whether you’re working on your desktop or mobile device. The tool also supports optical character recognition which earns it a couple of cool points. To make maximum utility of Evernote, you need to have it open as you make prospecting calls. This will allow you to jot down the vital points of the conversation, register company details and remember the actionable plan. Pricing: Evernote Basic is Free, Evernote Premium is available at $7.99 per month. 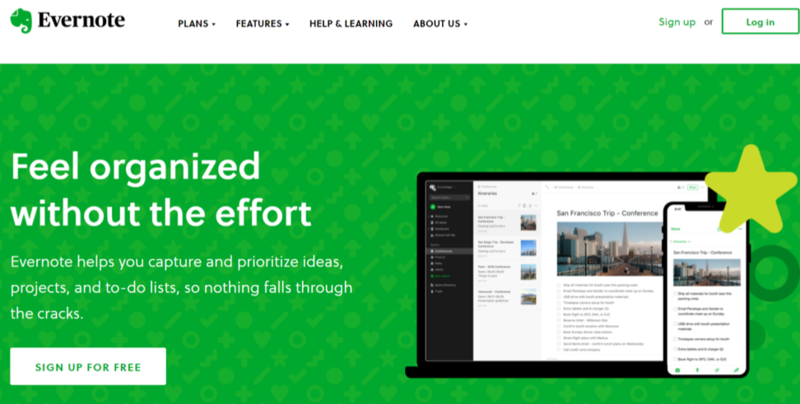 Evernote Business is available at cost of $14.99 per month. 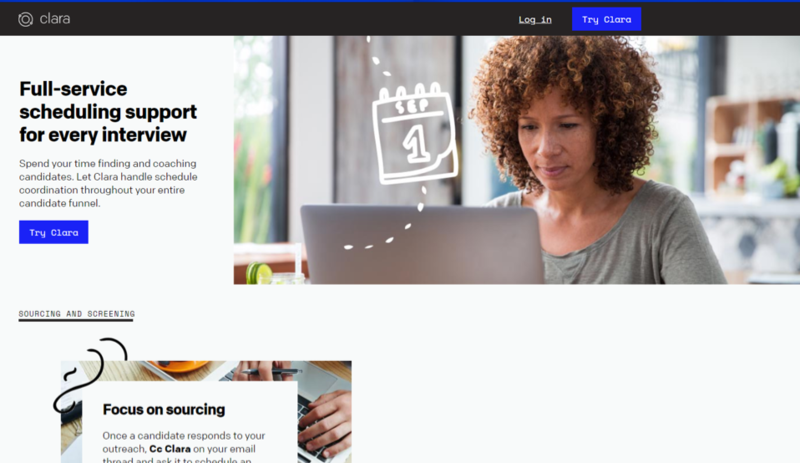 Long touted as the best social media platform for professionals, LinkedIn now comes with an exclusive suite for salespeople. 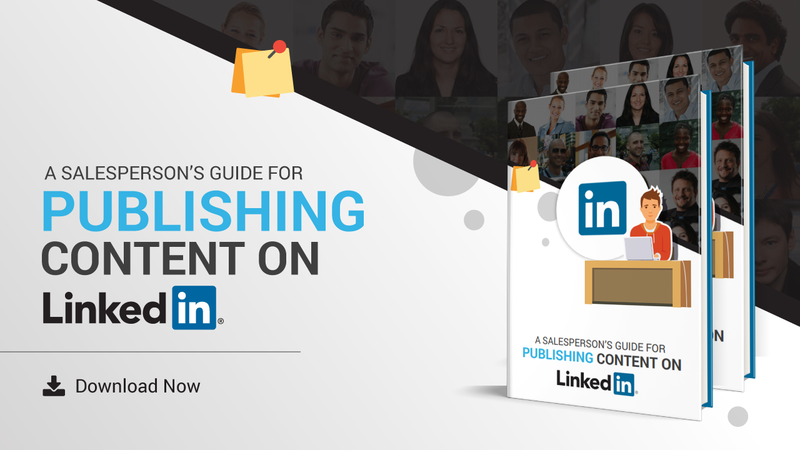 You can easily find prospects on the site by making utility of the LinkedIn Sales Navigator. With the tool, you can easily run advanced search filters and get detailed feedback on your prospects. In addition to this, you can save and endorse leads. There’s also the neat InMail credit functionality that’s so far proven to be a stroke of genius. Pricing: There’s a free trial available to users. Premium subscription starts at $65 per month. Quora has gained prominence as the free online forum for the exchange of ideas between professionals. The platform stands leagues above other competitors like Yahoo Answers thanks to their strict moderation policy. If you’ve accessed the site before, then, you’ll concur that the questions and answers are of a higher caliber. As a salesperson, you can take advantage of the innumerable inbound marketing opportunities by appealing to prospects through the tried and tested question and answer method. The more insights you provide, the higher your company’s profile climbs up the charts. 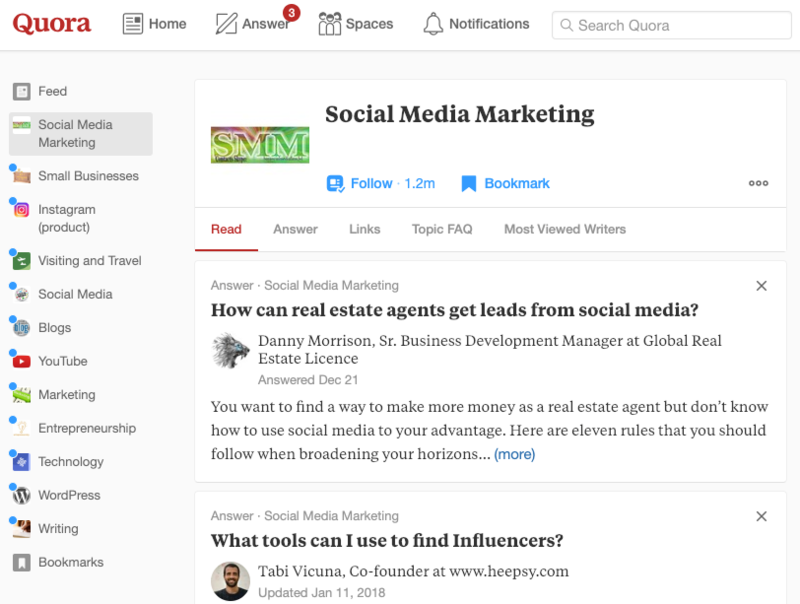 You can also access prospects by making use of the internal messaging system on Quora. Ideally, you’ll need to be on the lookout for users who’ve upvoted specific answers. Alternatively, you can message prospects based on the questions asked. In the conventional setup, sales prospecting can be a demanding task. However, by making use of sales prospecting tools, you can lower the degree of cumbersomeness and yield results. The enhanced efficiency will give you more time to connect with prospects and close deals much faster. If you’re unsure on which ones to go with, we recommend checking out all those tools. Some also offer free trials before you commit to a premium subscription. This will not only prove financially feasible, but will also give you a taste of all the options available to you. from our team. Don't worry, your information will not be shared. 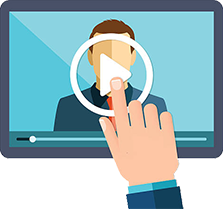 Sign up to our newsletter to be informed of our latest webinars, new courses and useful insights from our blog! Ollie uses social selling every day to learn and develop new ways to create conversations and reach prospects. Outside of the office he's an avid Liverpool FC fan and regularly watches his local football team play or plays pool every week. 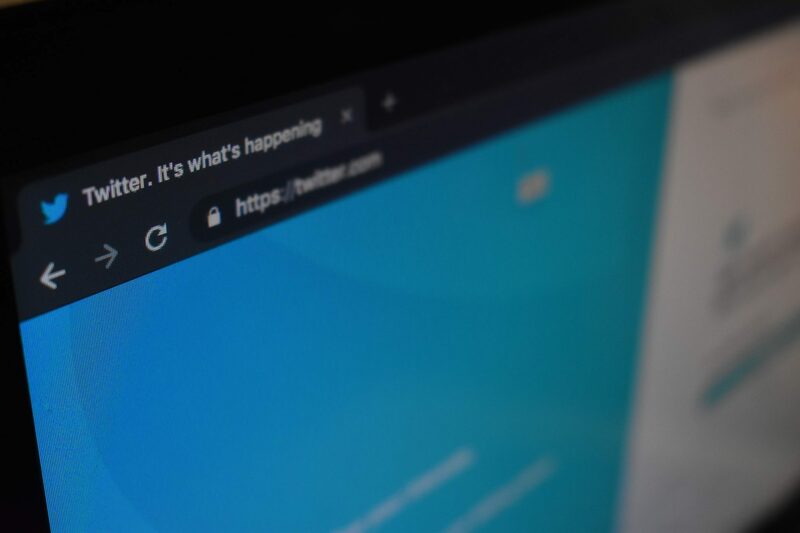 You can connect with Ollie on Twitter, LinkedIn and Instagram. 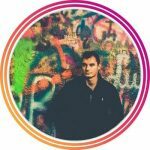 the ultimate guide for those who are looking to get the most out of the platform, sharing and creating engaging content.